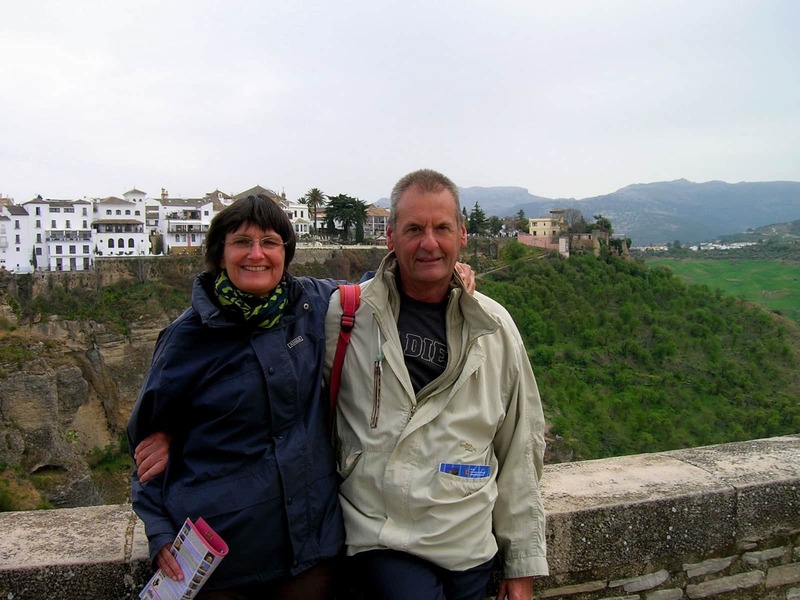 Trustworthy, tidy & no smoking Belgian couple to look after your home, garden and pets. 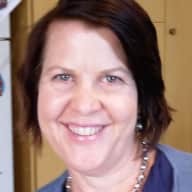 We are a couple without children.I am a nurse and midwife working for "Doctors Without Borders" an medical humanitarian organization, more precisely in supply. My husband is retired and worked as officer in the merchant navy and then as police inspector at federal level. We like traveling abroad for holidays to discover new destinations and meet new people. We try to avoid too touristic locations. We don't have pets at home because our apartment is too small and up to now both of has been quite busy. But both of us had dogs and cats in our "younger time". My husband worked for many years in a horse manege. We like the nature. We are not smokers and are very cautious for home maintenance. Both of us have a driving license. We like to house sit because it's a very nice and relaxing way to discover the local environment. By the same occasion, we can keep us busy by taking care of a home and pets that what we find enjoyable. We like walking around taking time to absorb the local ambiance and atmosphere. We love animals and enjoy taking care of them. -Several times in Belgium at friends and relatives. -3 weeks at friends in Guadeloupe taking care of 1 dog (Gala) and 2 cats. 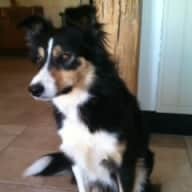 -1 month in Périgord in France through TrustedHousesitters, taking care of Florette, a adorable Border Collie. 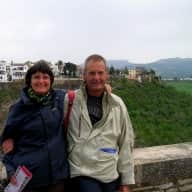 -1 month in Andalusia in Spain through TrustedHousesitters, taking care of Nelly and Rosie, 2 funny Labradors. 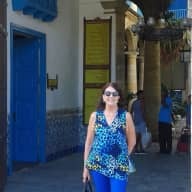 -3 weeks in Portugal near Lisbon through Nomador taking care of Bobby and Lucky (the dogs) and Sacha (the cat). 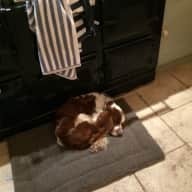 -15 days in England through TrustedHousesitter, taking care of Izzy and Dido, 2 lovable Spaniel Cockers. 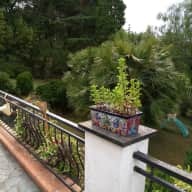 - 3 weeks in Gironde in South-West of France through TrustedHousesitter, taking care of Sweepy and Loly, 2 funny mixed-breed dogs and Soothy, the cat. At many occasions we had to do gardening as well as maintenance of swimming pools, activities that we enjoyed. We like walking especially accompanied by our "furry" friends. Caroline and Michel were absolutely lovely, charming, calm, very caring and organised. They took great care of 2 dogs, Sweepy, my dog, and Loli, my daughter's dog and my cat, Sooty. They sent photos to us via WhatsApp whilst we were on holiday. The dogs went on long walks, were played with, and were really well looked after. In fact after Caroline and Michel left I found my dog Sweepy looking everywhere for them in the gite where they stayed, Sweepy had obviously fallen in love with them!! All the animals were extremely happy and content. Caroline and Michel also did a lot of work in the garden, which was a lovely surprise for me on my return and totally unexpected. They tidied and swept all the patios, washed the pet towels and did much more than was expected. 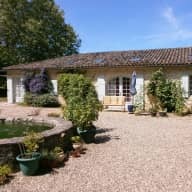 The gite was left perfect, clean and tidy. They had a real rapport with the dogs and cat, and have a genuine love of animals. The perfect house sitters. I only hope that they can house sit for us again. Highly recommended. Thank you Caroline and Michel we cannot emphasize enough how much we appreciated all that you did for our precious pets and for us. We were very pleased on our return from a break to find that Caroline and Michel had I) mown the lawn twice 2) taken our elder dog to the vet when she sprained her leg chasing a pheasant 3) completely cleansed our Augean stable yard 4) filled the car we insured for them with a full tank of petrol 5) replaced absolutely everything in the larder. It is quite clear to me that Michel and Caroline are impeccable home sitters. Caroline and Michel were great! We came home to a very happy dog and ordered house. We also enjoyed their company. I would be really pleased if they could look after our dog on another occasion.